Corazonas Tortilla and Potato Chips are in our “Final Four” all-star basketball snacks. The whole-grain, fiber-rich tortilla chips come in great flavors, like Black Bean & Cheese and Squeeze of Lime. Nutritionally, they have 18 grams of whole grains and 3 grams fiber per serving. Most importantly, they taste great and have just the right hearty texture that we love. Corazonas means heart in Spanish so the key heart-health benefit of the Corazonas line is that they all contain plant sterols, which are natural compounds that are clinically provide to help lower LDL (lousy) cholesterol. Five readers today will win a Corazonas Chip Sample Pack (3 bags tortilla and 3 bags potato chips) for guilt-free snacking. To enter, you must be a friend of Appetiteforhealth.com on Facebook and sign up for our free newsletter at AppforHealth.com. Please leave us a comment telling us the worst (read: unhealthiest!) food you’ve snacked on in the last week/month. I had a tiramisu dessert with extra whipped cream ! OWWWW!!! Worst snack this month was leftover queso and chips! These Corazonas Heart Smart Snack Chips would have been a Much better snack for me… guilt-free is the way to go! I like you on facebook follow you on twitter and subscribe to the newsletter. I “like” you on FB and subscribe to the newsletter. Icecream and a hamburger. Worst food I’ve snacked on? Pretzels, non-whole wheat . . ugh! Whoa…It was the bloomin’ onion at Outback Steakhouse. I had no idea how unhealthy those things were until I looked up the calorie and fat counts when I got home! (No wonder my stomach hurt after dinner.) Those things should carry a hazard warning on the menu! I’ve eaten way too many jelly beans. The Easter seaon candy is dangerous! My worst snack this week has been mini powdered sugar donuts….my one vice 🙁 At least I didn’t eat the whole box 🙂 I would have much rather had Corozona’s Touch of lime tortilla chips. The only kind I’ve tried and fell in love at first bite!! A piece of a huge party cake brightly colored with icing and so sweet my mouth still hurts, guilt guilt guilt! The worst had to be a dish of french vanilla ice cream and a slice of peach pie and it wasn’t fat free! TOL = Tons of love! I “Like” you on Facebook and subscribe to your newsletter. I would have to say the worst snack food for me this month was an apple fritter donut. I’ve gotten better at trying to eliminate them from my diet…I’ve only had 1 this month! 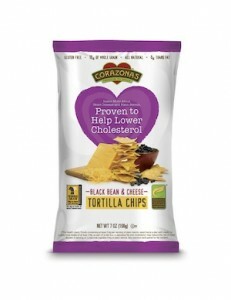 Corazonas chips are yummy……..and they’re great in recipes too! I’ve gotten into the kids’ gummy bears and tootsie rolls as of late!!! The worst thing I snacked on this week was a cheese quesadilla. And I receive the newsletter. Ice cream, with peanut butter and fudge in it. Thanks! We’ll be emailing you to get your addresses to send products!!!! The worst thing I’ve snacked on was chocolate. I guess it’s not so bad if it were only one piece, but it’s been multiple pieces for me! I have to get some self control! I am a friend of Appetiteforhealth.com on Facebook and signed up for the newsletter at AppforHealth.com. The most unhealthiest snack I’ve eaten this month is probably a midnight dazzler from haagen dazs. it had chocolate ice cream, oreo cookies, lots of whip cream and chocolate fudge.